Each legal-tender coin is struck in two full ounces of pure 99.99% silver and comes graded by the Numismatic Guaranty Corporation (NGC) to be in perfect Mint State-70 (MS70) condition. In addition NGC has also certified that these are early Releases (ER) coins, meaning that they are among the first struck by the mint and were verified within the first 30 days of issue. 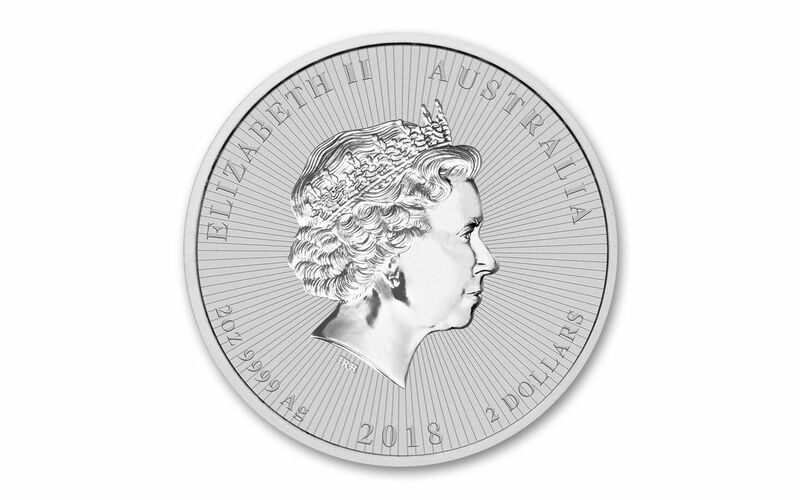 Each coin has also been encapsulated in a special coin holder with an exclusive Australia label. 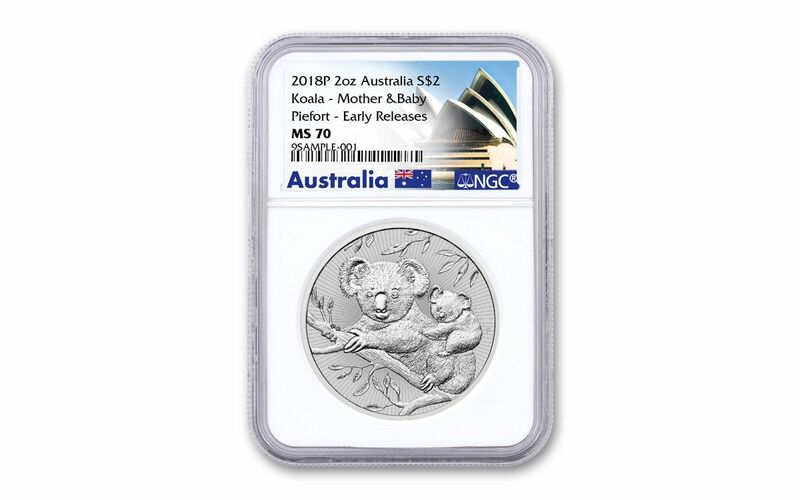 CERTIFIED EARLY RELEASES DESIGNATION – Your silver Koala has also been certified by NGC as being an Early Releases (ER) coin, meaning that it was among the first struck by the mint and was verified within the first 30 days of issue. 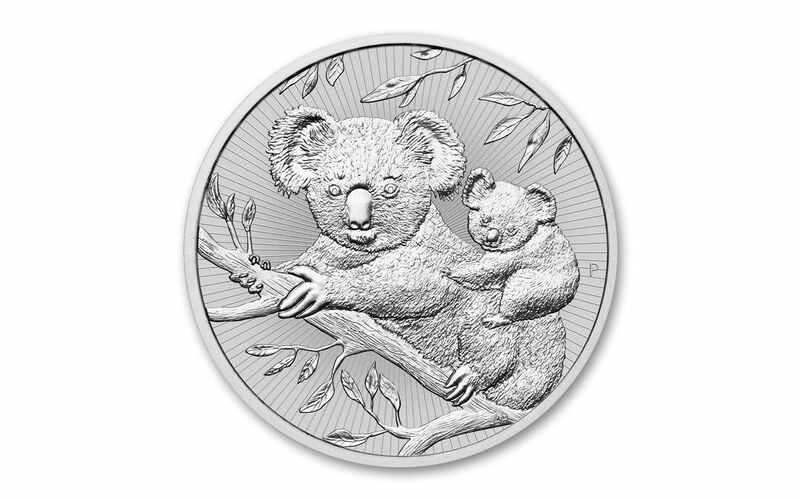 It has also been encapsulated in a special coin holder with an exclusive Australia label. 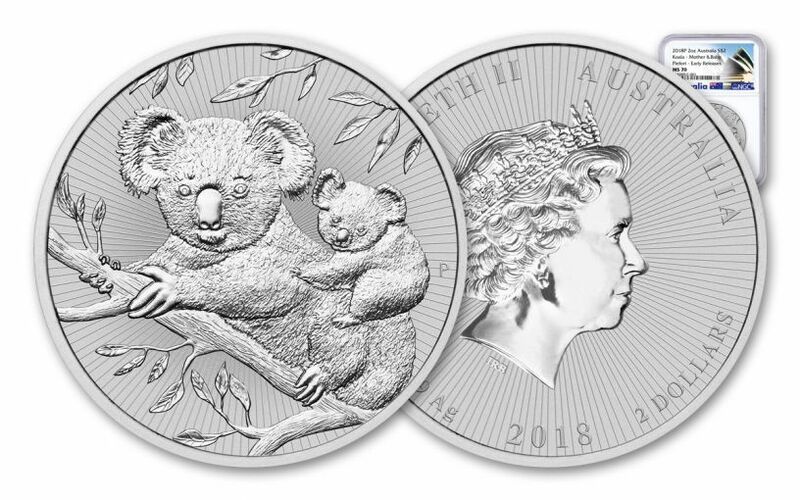 Australia’s 2018 $2 Koala Two-Ounce Silver Piedfort is the Perth Mint’s FIRST-EVER 2-ounce silver bullion piedfort coin. Get your Early Releases coin in Mint State-70 condition now while we still have quantities available!